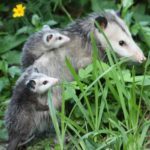 We’ve done a little looking back at 2013 already—see this piece about our 2013 accomplishments, and this one about the most popular Facebook photos of the year—but we also wanted to share some of our memories of wildlife and nature from the past twelve months. Here are the favorite photos from National Wildlife Federation staff members from 2013. A Northern Pintail drake strikes a pose at Montana’s Lee Metcalf National Wildlife Refuge in January 2013. Photo by Steve Woodruff. Photo by Tim Brady, who took care of some luna moth cocoons for a year—this one emerged last May. Tiger swallowtail butterfly feeding on a flower of a cup plant in Doug Inkley’s backyard Wildlife Habitat in Maryland. Danielle Brigida says saddleback caterpillars are always a treat—but look, don’t touch. This photo of a bee with yellow yarrow was taken by Jessica Owens. Ryan Fikes beautiful backyard Wildlife Habitat near Ella Barnes Wetlands. Dave Dittloff on the Oregon coast with his daughters Chloe and KB. An osprey flying over our boat, off the coast of Naples, Florida. Photo by Ben Spector. Kristin Johnson’s 5-year-old niece spotted this awesome scene of pavement ants trying to get a bee down into their nest. They watched for 10 minutes as they dis-assembled the bee and tried to figure out how to solve the puzzle. Sunrise over the Marshy Hope Creek in Dorchester County on the Eastern Shore of Maryland. Photo by Rachel Dawson. Hervey Evans with a Ranger Rick magazine subscriber, Charlie Jackson, in the Boundary Waters Canoe Area Wilderness in Northern Minnesota. Playing with a backyard friend. Photo by Jennifer Hammonds. Lara Bryant took this photo of Rock Creek Park in January. In the bleak mid-winter, NWF celebrates the artistry of nature… in our backyard. Eliza Russell took this photo outside our headquarters building. Rich Holland of Aliso Viejo, California fishing the South Platte River, Elevenmile Canyon State Park. Photo by Lew Carpenter. Kelly Senser and her family raised this monarch from a caterpillar. It’s seen here on a blue mistflower in their Certified Wildlife Habitat. These wild bison are seen a year after they moved from Yellowstone National Park to the Fort Peck Indian Reservation in Montana. Photo by Alexis Bonogofsky. Britt Faulkner found this bee in Ireland’s Giant’s Causeway. 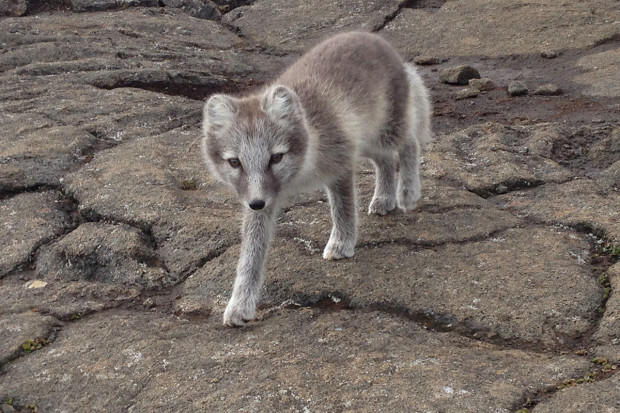 Arctic Fox kit near Thrihnukagigur Volcano. NWF’s Sara Gonzalez-Rothi Kronenthal caught a glimpse of Iceland’s only indigenous land mammal. Pitcher plants scattered throughout the majestic longleaf pine ecosystem found at Splinter Hill Bog, Alabama. Photo by Tiffany Woods. A pair of cranes used Ryan Stockwell’s wheat field as a foraging area—walking, calling, and eating—this July. Red-eyed tree frog found while exploring the Pacific coast of Costa Rica. Photo by Dani Tinker. This great blue heron was patient with Avelino Maestas as he approached to within 10 feet in near a pond in Virginia. Like our members, NWF staffers are nature enthusiasts and wildlife advocates. 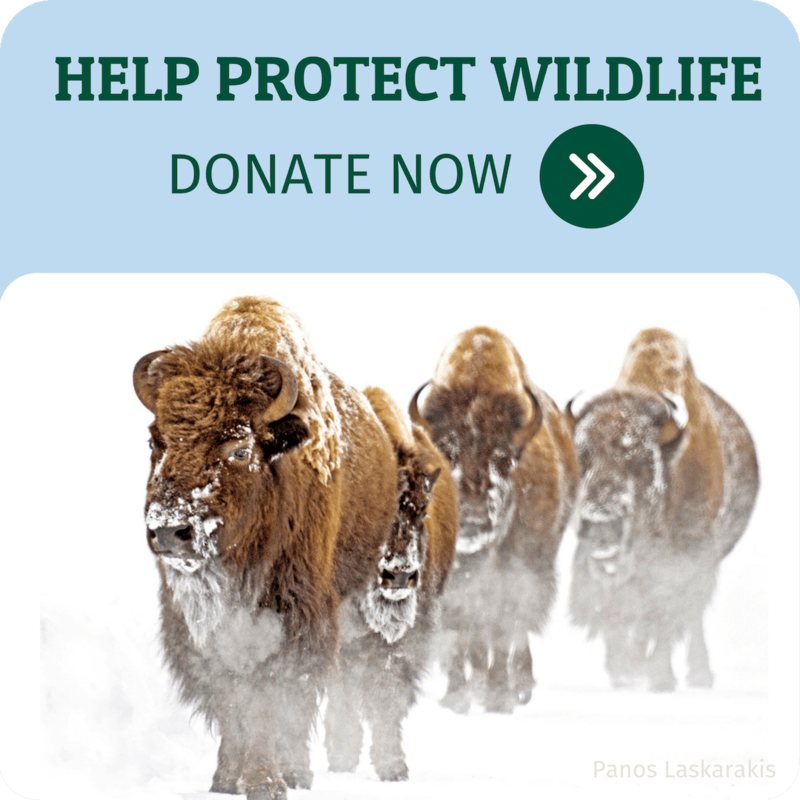 Together we’ve made significant strides for wildlife in 2013—with your help we can continue that work in 2014.